This free online calculator will help you to find the volume of a rectangular prism (cuboid). Using this online calculator, you will receive a detailed step-by-step solution to your problem, which will help you understand the algorithm how to find rectangular prism volume. 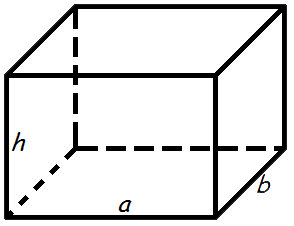 Rectangular prism or cuboid is three-dimensional geometric shape, which has six faces, and each of them is a rectangle. is a parallelepiped, all of whose faces are rectangles.